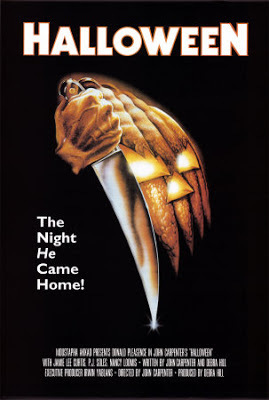 The Rockport Film Review: Rockport Rates: "Halloween"
Johns Carpenter's original is one the best horror movies of all time. Jamie Lee Curtis sets the standard for scream queens. 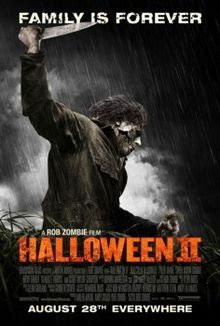 Michael Myers is at his creepy best! We begin our long relationship with Donald Pleasance as Dr. Loomis. A very impressive sequel that continues the events of the first. Jamie Lee is back to battle Michael. While the crazy Dr. Loomis follows close behind. Introducing Danielle Harris as Jamie, Michael's niece who must die. She gives an absolutely amazing performance for such a young girl. Dr. Loomis is still alive? This one also has one of the best endings in the whole franchise. Jamie Lee Curtis returns with a great young cast. A brief return to brilliance for the franchise after the disappointment number 6. Jaime (Danielle Harris) is back and so is Michael. An ambitious remake from the right director, but still falls flat with weak character development (except for Michael) and the originals building of suspense and subtle terror. There is nothing subtle in anything associated with Rob Zombie. The black sheep of the franchise. Who needs Michael Myers, right? Wrong. I liked the performance of veteran horror actor Tom Atkins though. "Eight more days 'til Halloween Silver Shamrock". Ahh! can't get that tune out of my head. A pregnant Teenage Jamie is kidnapped by some Druids who steal her baby so Michael can ceremoniously kill it or something like that. Has a very dated early 90's feel. Grunge is so in dude! A complete mess from inception to somewhat completion. 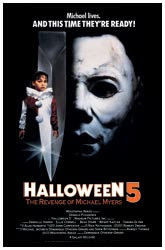 The audience gets tortured by the filmmakers instead of Michael Myers. Web Cams and Busta Rhymes bring the franchise to rock bottom lows. "The Amityville Horror" (2005) Welcome Home! "Stigmata" Yeah its Really is That Bad!